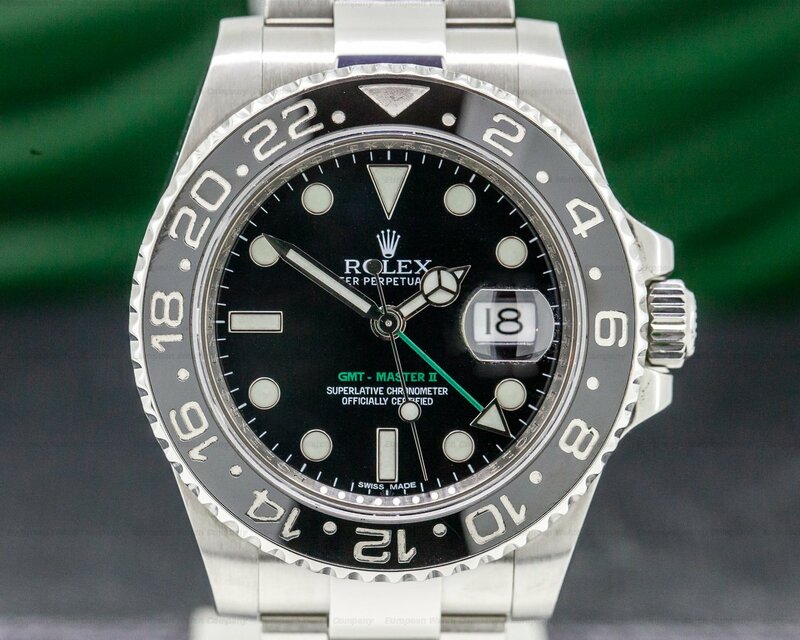 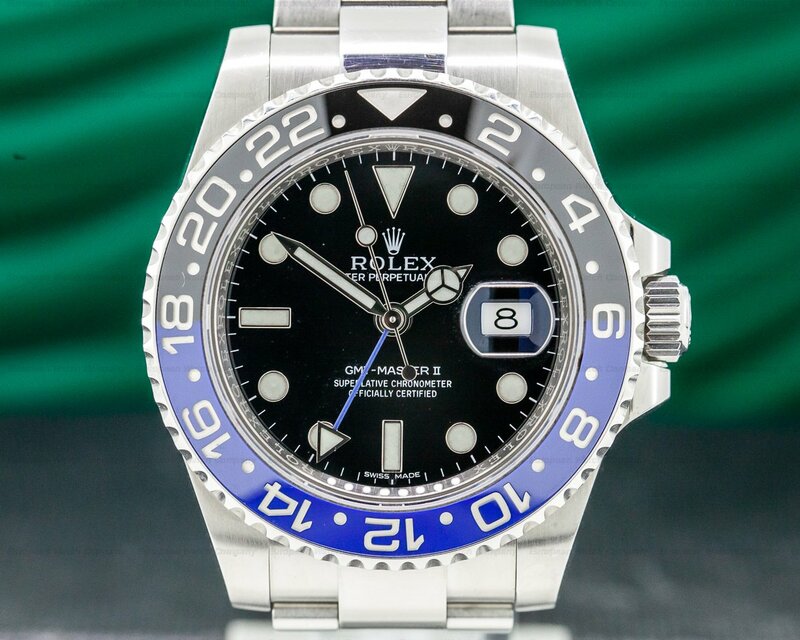 This is a 904L stainless steel Rolex GMT Master II "Batman" 116710. 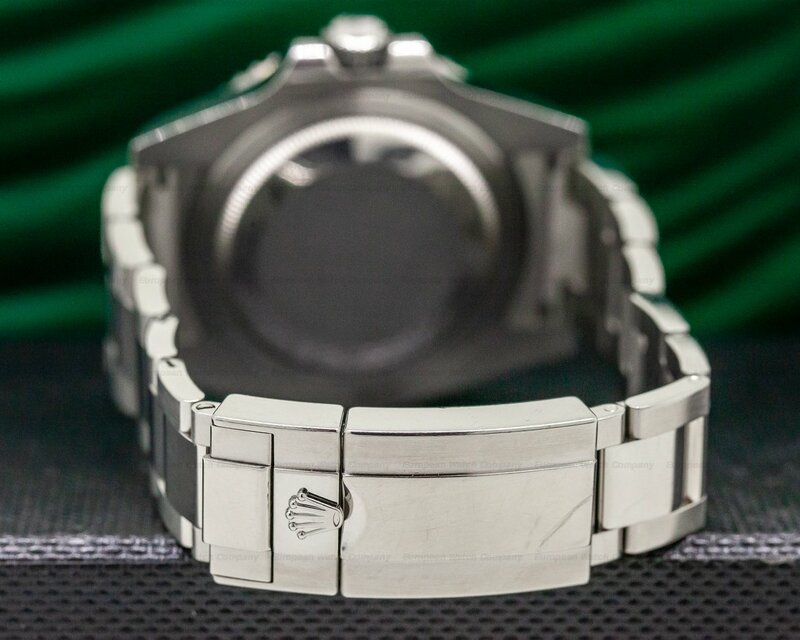 It includes an integral stainless steel Oyster bracelet with a folding Oysterlock safety clasp and an Easylink 5 mm. 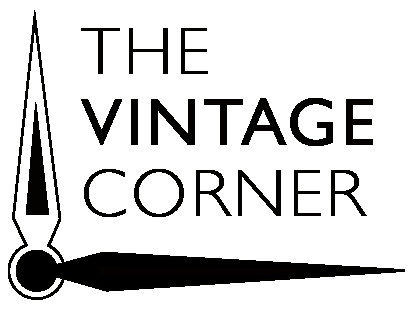 comfort extension link. 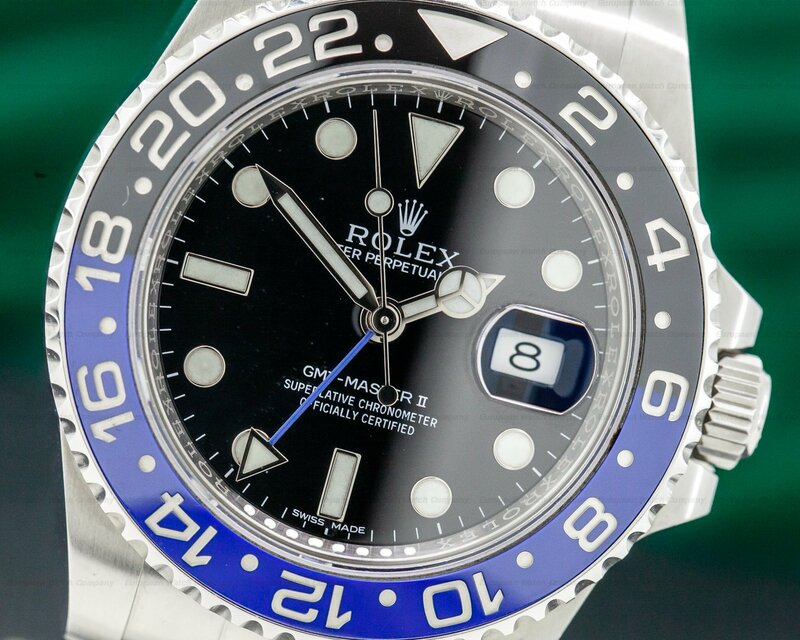 The three-body case is polished and brushed, with a black and blue cerachrom graduated and reeded bi-directional bezel, a sapphire crystal, a protected Oyster Triplock winding crown, and a screw-down back. 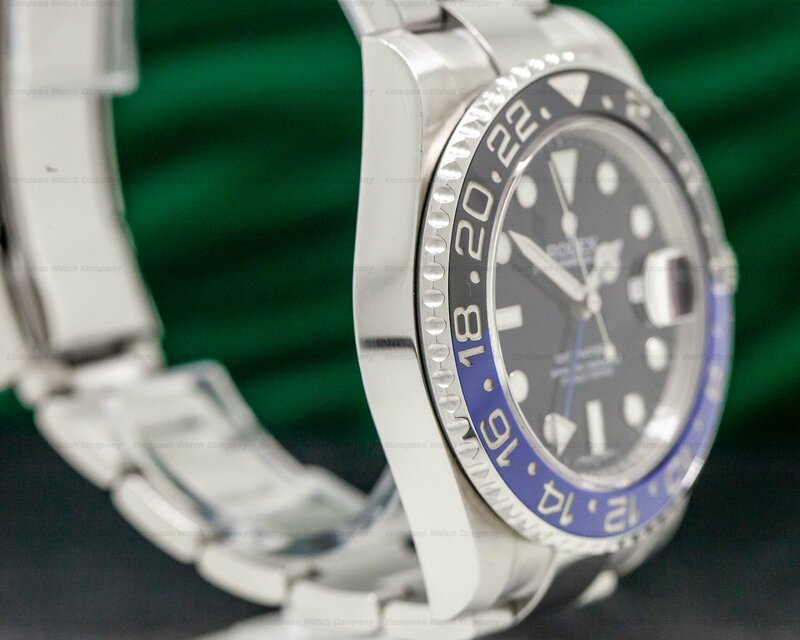 The bezel measures a second, 24-hour time zone with a green 24-hour hand. 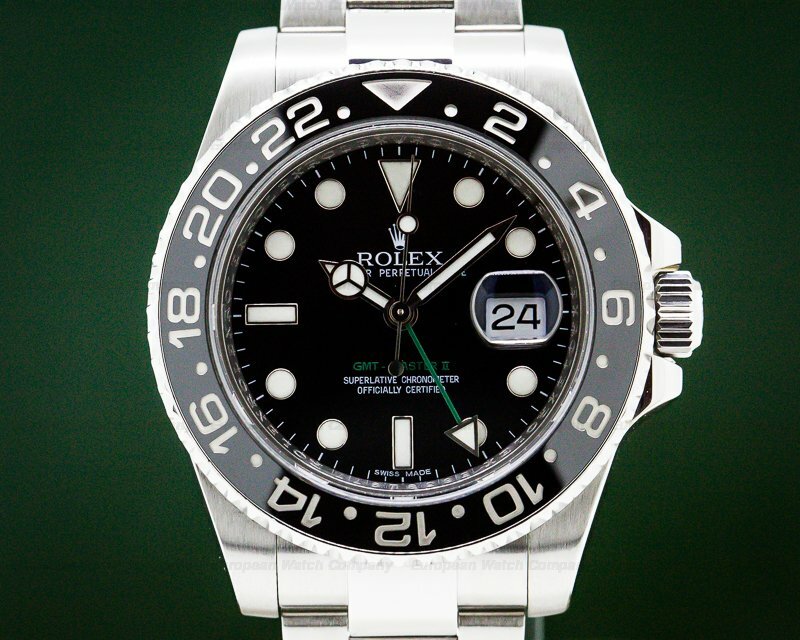 The dial is black with luminous baton, round, and triangular hour index markers, and luminous steel skeleton hands with the distinctive Rolex symbol on the hour hand. 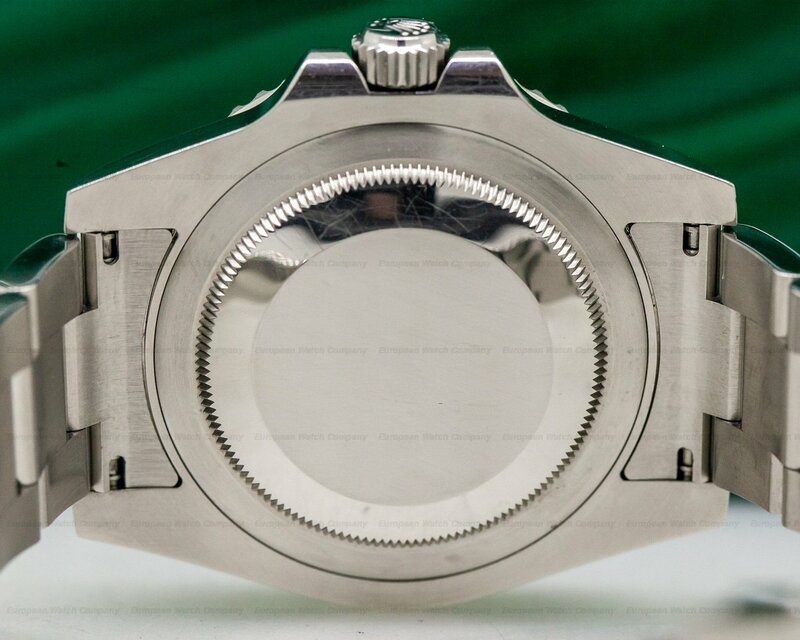 The date aperture is at 3 o'clock and it's magnified with a Cyclops lens bubble. 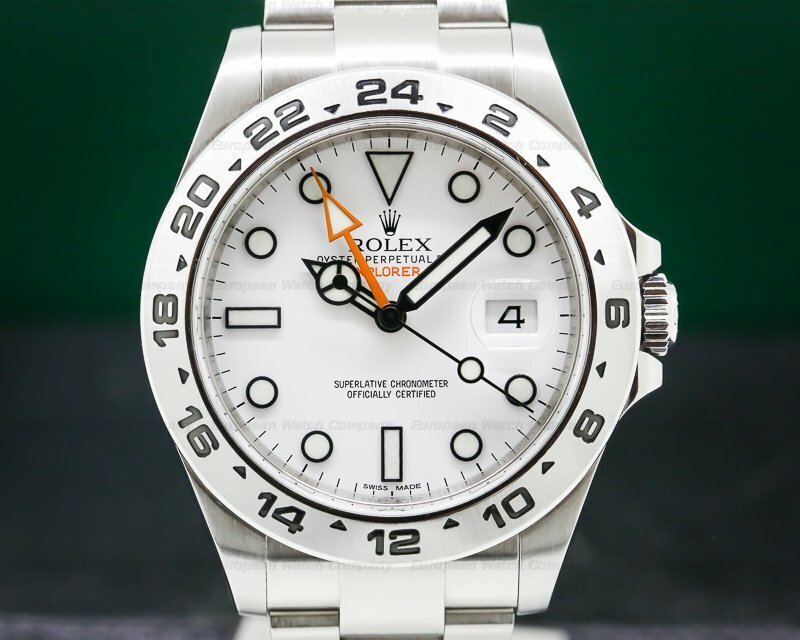 It's water resistant to 100 meters (330 feet), and it's COSC certified (Certified Official Swiss chronometer). 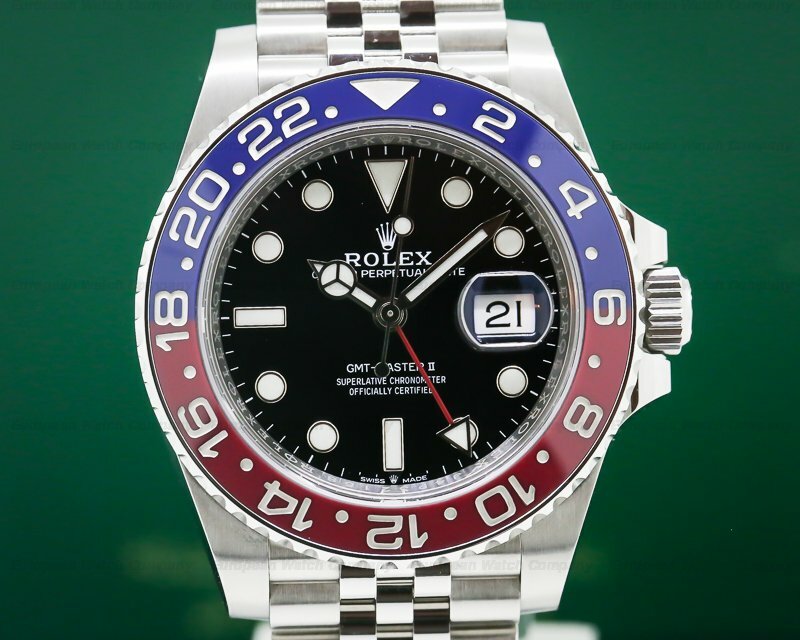 This Rolex GMT Master II "Batman" 116710 has a mechanical automatic self-winding calibre 3186 movement that's rhodium-plated. 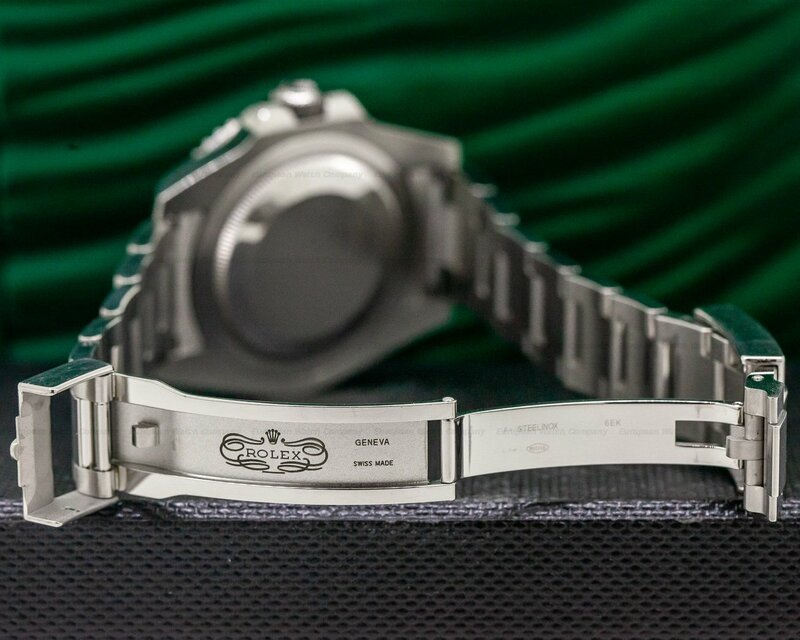 It's constructed with 25 jewels, a shock absorber mechanism, and a straight-line lever escapement. 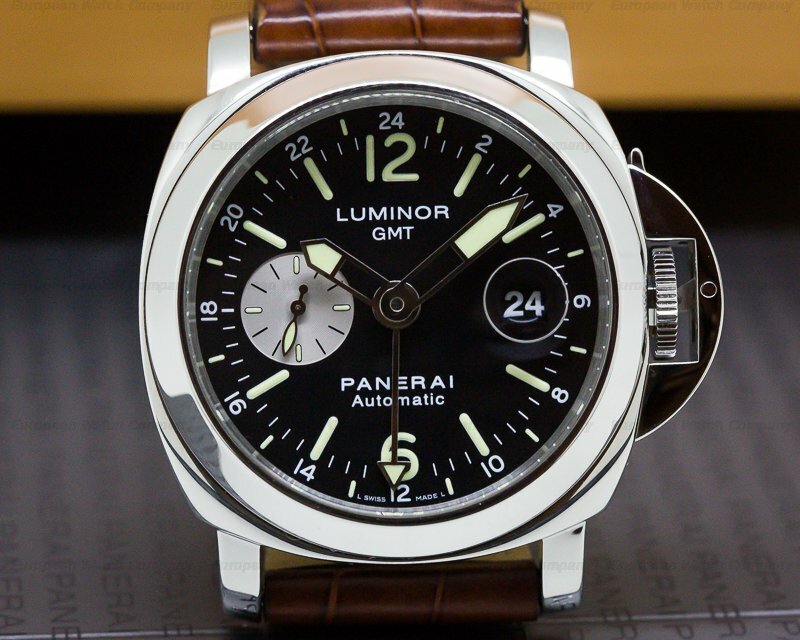 It has a monometallic balance adjusted to cold, heat, and 5 positions, and a self-compensating Breguet balance spring. 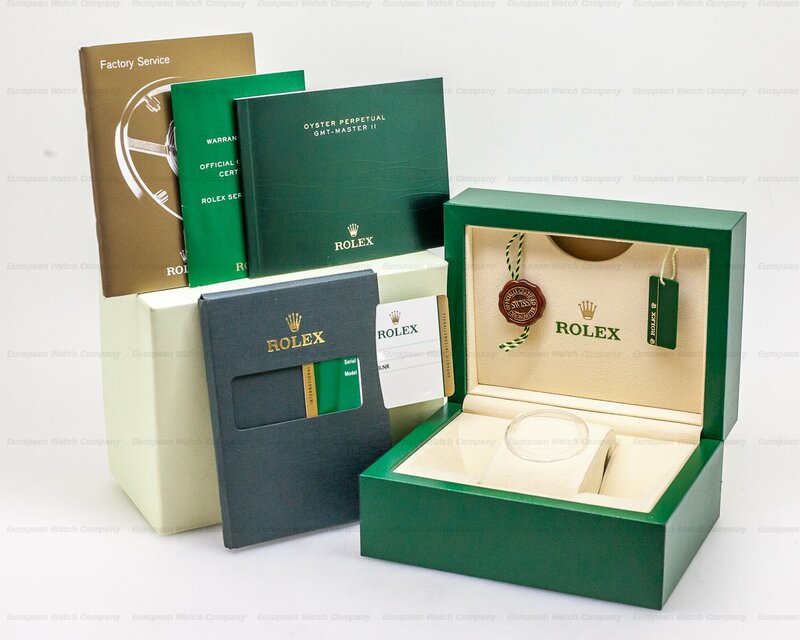 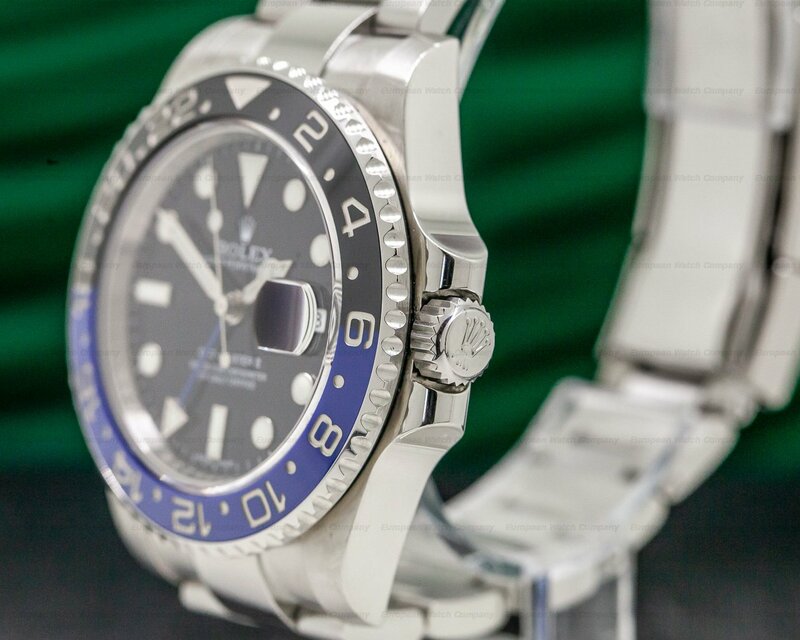 It is equipped with a Rolex blue Parachrom hairspring made from a paramagnetic alloy including zirconium and niobium; it's resistant to magnetic fields, temperature changes, and shock. 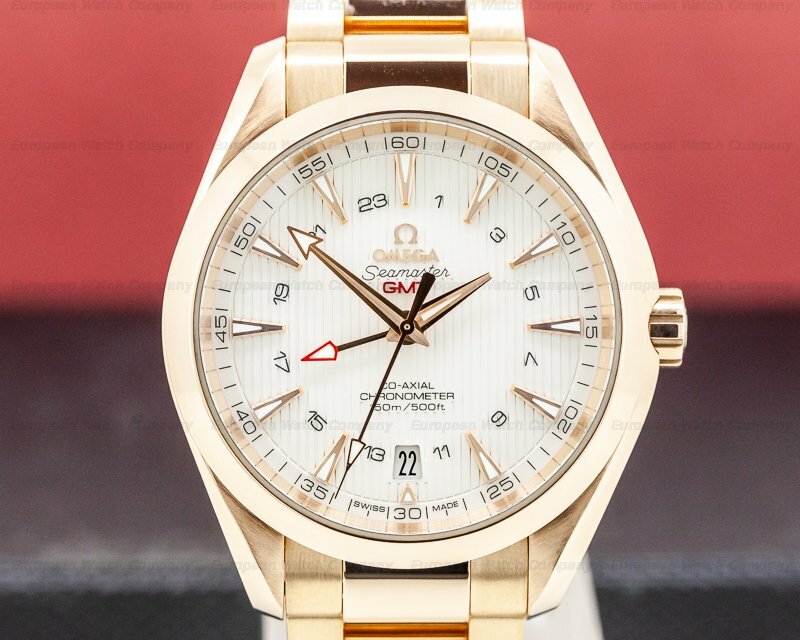 The case, dial, and movement are all signed. 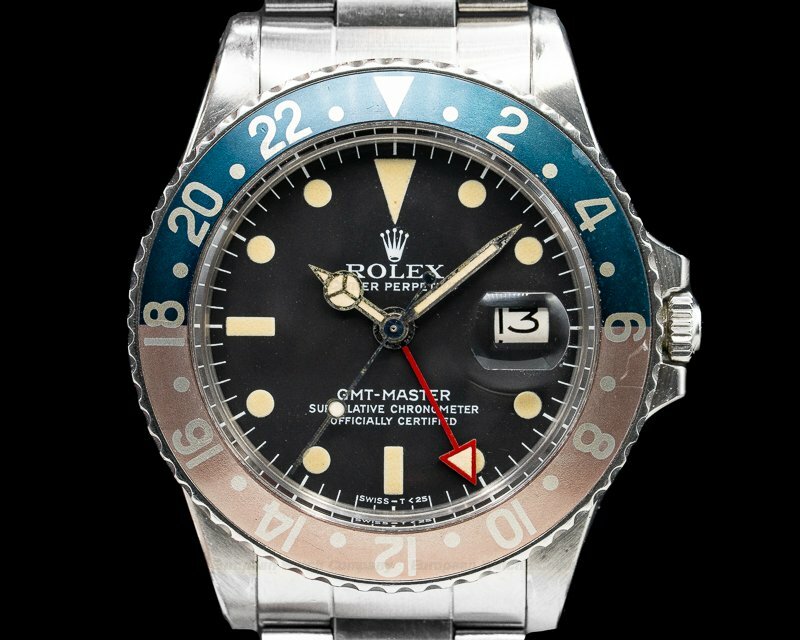 The Oyster bracelet was first introduced in the late 1930s, and the original GMT-Master debuted in 1955. 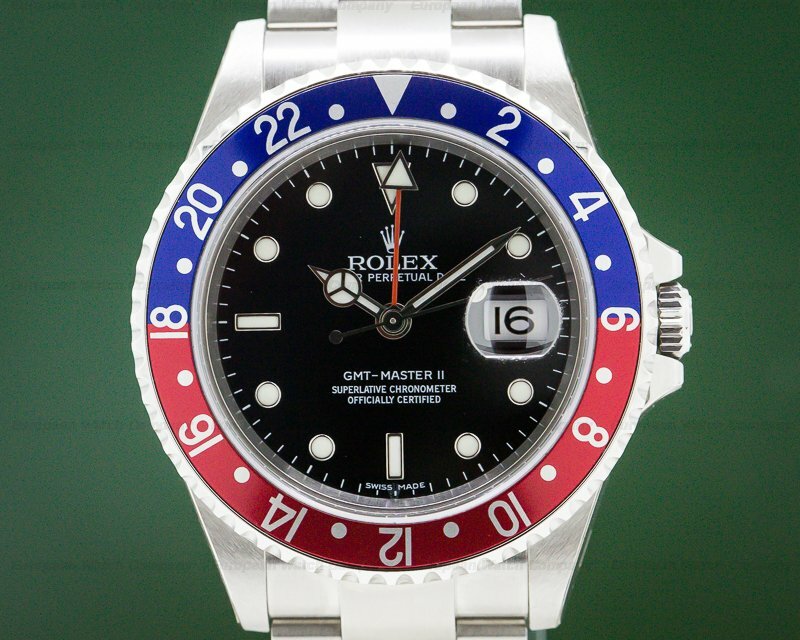 The GMT-Master II was unveiled in 1955, and Rolex GMT Master II "Batman" 116710 was introduced in 2005 and updated in 2007. 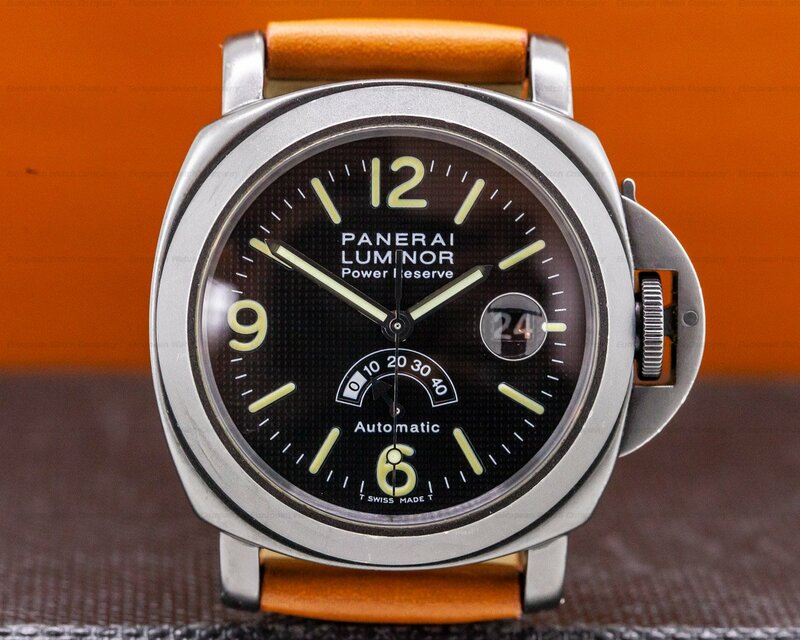 The perpetual automatic mechanism is energized by the natural movement of the wrist with a half-moon oscillating weight that pivots freely in both directions. 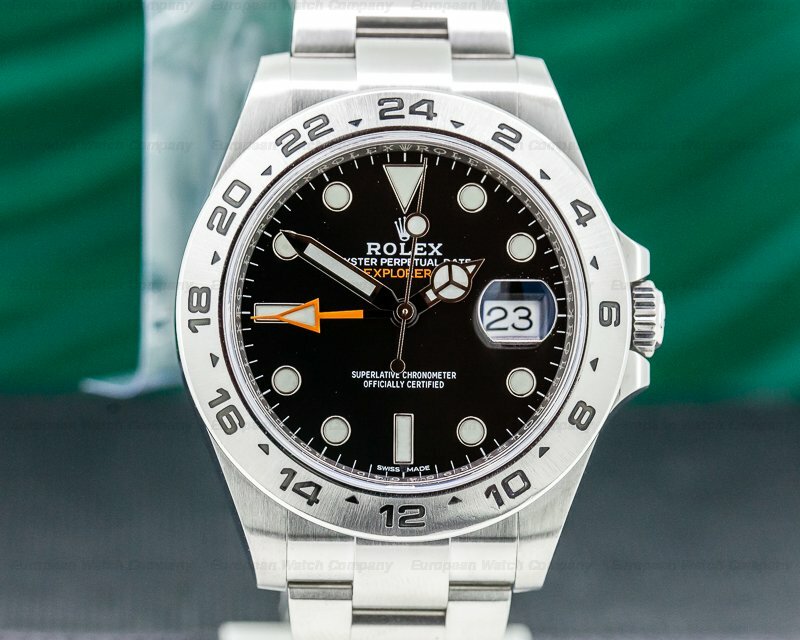 The rotor continuously winds the movement's mainspring, providing a constant and stable source of energy.